Canada-Ontario Job Grant: Funding for Training | Mentor Works Ltd. Improving employee skillsets through frequent training is an effective, but financially demanding way to improve your organization’s performance. While there are many benefits to engaging employees with relevant and timely training programs, most companies cannot afford to do so. As a result, organizations across Ontario underperform and continually miss the opportunity to become more competitive. Fortunately, the Canada-Ontario Job Grant (COJG) is available to help employers significantly reduce the costs of third-party training programs. Through the program, employers define a group of employees to receive training, then apply for grants to directly offset a portion of training costs. Employers can apply for funding once every six months; this offers a tremendous opportunity if built into your workforce development plan. The Canada-Ontario Job Grant provides up to 50-83% of third-party training costs to a maximum $10,000 to $15,000 in government funding per trainee. To get started with COJG Ontario training grants, employers must develop an application package that lists the training participants and provides quotes sourced from multiple training providers. Applicants should provide a rationale for why the training vendor was chosen and how the training will benefit employees. The Canada-Ontario Job Grant offers non-repayable grants to help employers provide high-quality employee training programs. The program offsets training vendor costs to help employers hire top trainers and lead to lasting organizational improvements. For-profit and non-profit employers can use the program frequently to supplement their training budgets. Large Employers (100+ Employees): Up to 50% of eligible training expenses to a maximum $10,000 per trainee. Small Employers (<100 Employees): Up to 83% of eligible training expenses to a maximum $10,000 per trainee. Small Employers Hiring and Training Unemployed Individuals: Up to 100% of eligible training costs to a maximum $15,000 per trainee. All trainees are eligible for increased funding, not just those who are new hires. The type of training purchased is up to the employer’s focus. Easily-transferrable soft skills tend to have the greatest chances of being successful, but most training programs that have a direct benefit to trainees are considered. Benefits often include job title promotions, wage increases, and layoff avoidance (if applicable). COJG funding also supports multiple employers that pool their training resources to offer group training. This is a popular option among industry associations and employer networks that represent multiple organizations within the same industry segment. Through COJG’s Consortium Training stream, employers can send groups of employees to receive training alongside employees from other participating organizations. Consortium training typically provides a lower cost-per-employee compared to traditional training, but government training grants further improve the value it provides. COJG’s contribution rate in this case depends on the size of companies sending employees for training. If a large employer (100+ employees) is in the training group, the consortium may access up to 50% of eligible training expenses. If all employers have less than 100 employees, then the consortium will qualify for up to 83% of training costs. Maintain third-party liability insurance coverage. Career or Development Training: Enhancing the skills, knowledge, and ability of employees to support career advancement. Maintenance and Refresher Skills Training: Updating and maintaining the skills, knowledge, and ability of specialists within an organization. Essential Skills Training: Providing the skills needed for work, learning, and life. These are easily transferrable skills employees can use to find a job and succeed in the workplace. Not be a participant in any other full-time training or educational programs. Canada-Ontario Job Grant FAQs: Still have questions about COJG training grants? Explore answers to common questions we’ve been asked by Ontario businesses. Since 2014, the Canada-Ontario Job Grant has provided funding for training to businesses across the province. These investments have helped Ontario employers strengthen their workforce and improve company capabilities. Technical Call Centre Receives +$330k in Business Funding to Develop Workforce: Funding for training helped this business access management and leadership training to improve cross-department communication and on-boarding strategies. Over $150k in Ontario Small Business Grants Awarded to La Rocca Creative Cakes: Ontario government training grants helped reduce the cost of implementing a new Enterprise Resource Planning system to access hard data and improve capacity planning. Foam Solutions Boosts Productivity with Canadian Government Grants: By offsetting workforce development costs, the company boosted productivity, increased cash flow, and upskilled its employees. To develop a competitive application, Ontario employers must select a training program and source at least three quotes from eligible third-party training providers. Next, employers need to list the training participants and identify how training will impact their role within the company. Application packages are accepted year-round, so employers should prepare to apply for funding in accordance with their expected training start date. COJG applications are typically reviewed within three to five weeks; employers must submit their forms no sooner than then to receive approval. Once approved, companies can start their training and receive reimbursement for training costs. The number of applicants included in a training program dictates where employers must send their application. For training programs with 25 or fewer trainees, applications must be sent to a local “service provider” that assists the Government of Ontario with assessing the quality of applications. There are many service providers across Ontario and each maintains a pool of funding to provide for their region. Consortium training and programs where more than 25 trainees are involved are directly reviewed by the Ontario Ministry of Advanced Education and Skills Development (MAESD). 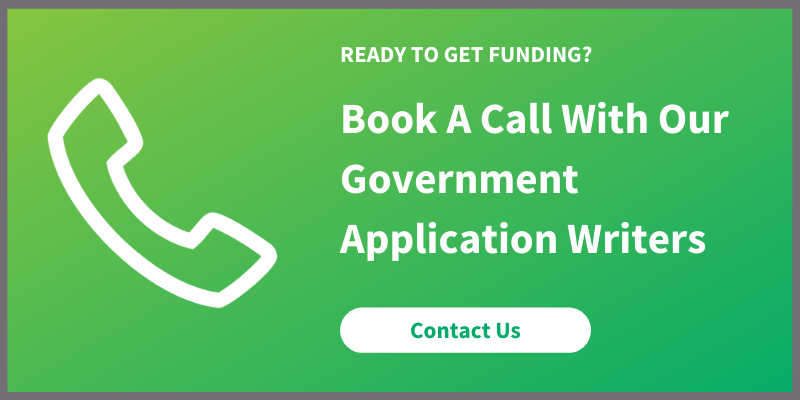 To discuss your business’ eligibility and explore options to navigate the funding application process, please contact Mentor Works.